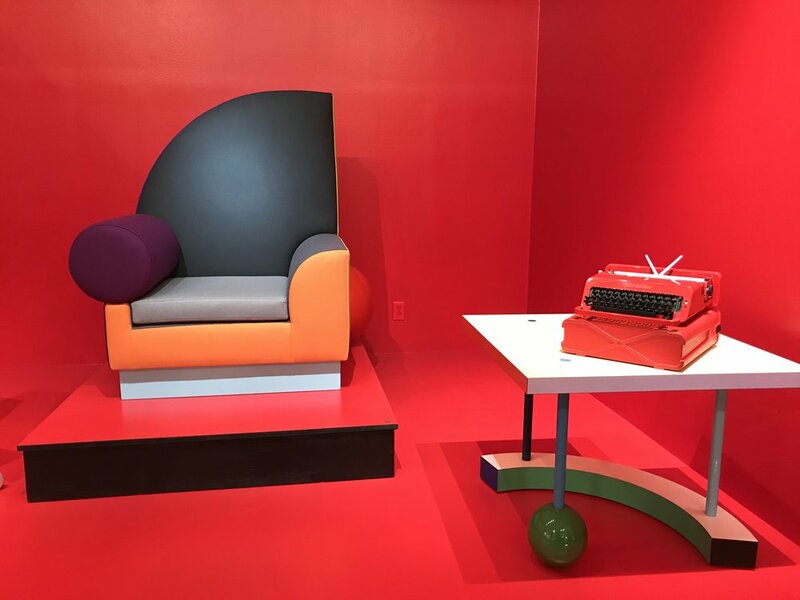 I headed to the Modernism Museum in Mount Dora to see the largest grouping of Memphis collective furniture ever assembled. I love the 80s. SO. MUCH. And this show defines my early teen years in pops of color and pattern. David Bowie was a collector of furniture and objects designed by the Memphis collective of designers. If you've never heard of them, that's OK. The collective only lasted about six years, from 1981 to 1987. They pushed every boundary of post-modernism and created every object under the sun in rich modern shapes, colors, and materials. 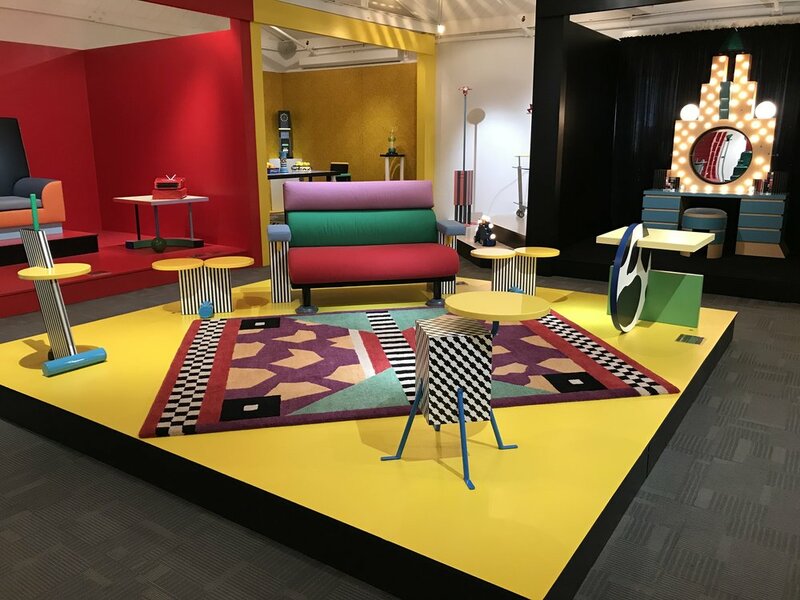 Memphis was headed up by Ettore Sottsass, and Italian designer along with colleagues like Michele de Lucchi, Andrea Branzi, and Nathalie du Pasquier, as well as international names like Michael Graves, Peter Shire, and Shiro Kuramata, Each had their own style of design within the movement. The Modernism Museum has a great number of pieces that will be rotated out during the course of the year. Here's what's on display in January. CityWhit and I arrived at 10AM just as the doors were opening and met Mel DeMarco, former Mayor of Mount Dora, who filled us in on all the details of the museum and the exhibition. Don't miss the twenty minute documentary explaining the design movement and how it impacted pop culture and the idea of post-modernism. Modernism Museum of Mount Dora is open Tuesday through Sunday, 10AM to 5PM. Ticketed entry is eight dollars and worth every single penny. After the museum, head across the street to the Modernism Museum Gift Shop and if you browse until 11:30AM, Norman Van Aken's 1921 Restaurant will open next door and you can scoot inside for delicious cocktails and milk buns. Yes, order the milk buns. Trust me. The drive from Orlando took about 40 minutes on Saturday morning at 9AM. I-4 construction isn't kind but there are backroad options that take you through some of Lake County's lovely citrus groves. A quick walk downhill and you're at Pisces Rising, one of the best fish restaurants I've been to in a long time. There's a great park for kids and a great local used bookshop to explore. I'm looking forward to going back again this spring to do a tour with Mel around the city of Mount Dora. We'll let you know when that is happening. In the meantime, go explore the 80s design scene. Let's dance!